Since the end of Mozambique’s civil war in the early 1990s, the country’s military has not been strong nor cohesive. It has suffered from low military salaries, low morale, corruption and poor discipline. The Armed Forces for the Defence of Mozambique (FADM) still face a serious shortage of manpower, largely due to suspicion and mistrust between government troops and former Renamo rebels. 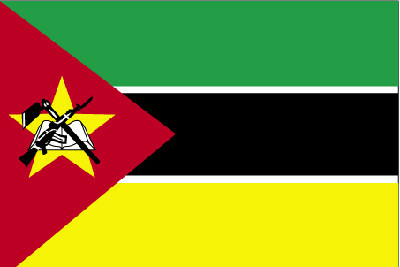 Following the signing of the Rome peace accords which ended the civil war in 1992, Mozambique had envisaged the creation of an army of 35 000, but the FADM’s strength is estimated to be around 13 000. The vast majority of Mozambique’s military equipment is unserviceable, with some estimates putting it at 10% or less. Mozambique received much military assistance from the Soviet Union but since its collapse in the early 1990s, financial support dried up. The Air Force is almost entirely inoperable, although efforts have been made of late to restore some flying capability. The Navy is in a similarly poor state, with only a handful of functional vessels, including two Namacurra class harbour patrol boats supplied by South Africa between 2004 and 2005, and the Pebane ex-Spanish patrol vessel. Due to its historic relationship with Mozambique, Portugal has provided military assistance through the CTM (Cooperação Técnico-Militar) technical military cooperation agreement. Portugal recently handed over sea rescue boats to the navy and two ex-Portuguese FTB-337G aircraft. Other countries that provide military assistance and training to Mozambique include the United States, China and Zimbabwe. China in particular has donated equipment and funding to the FADM. External •	Mozambique is facing no external military threat although maritime piracy originating out of Somalia remains a concern. Internal •	Mozambique is facing a resurgent low scale insurgency by RENAMO in the central regions of the country. •	Millions of landmines laid during more than 30 years of conflict pose continued danger. Regional •	Political tensions within Zimbabwe may affect Mozambique’s foreign security policies. Political	 •	Mozambique remains to a large extent politically stable, but balancing out ethnic tensions between the country’s Southern Shangaan and Northern Shona groups will remain a challenge for the Mozambique government. Economic •	Mozambique’s economy has grown considerably since the end of civil war in 1992 but the country remains one of the poorest and least developed countries globally. •	Recent coal discoveries in the centre of the country and oil and gas discoveries off the countries Northern coast are set to change the country’s economy.